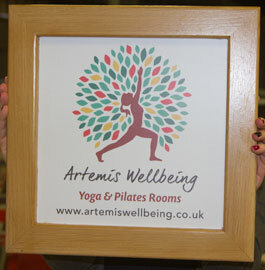 Double sided signs for hanging with wooden frames and metal brackets. 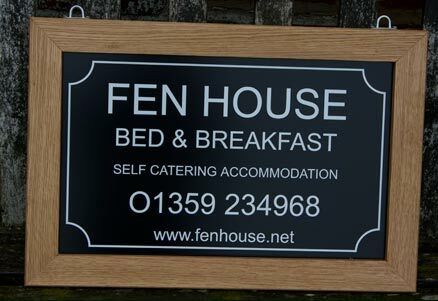 We make double sided aluminium composite signs in full colour or with white, coloured or metallic finish. These are then framed with natural Oak, Iroko or Sapele. 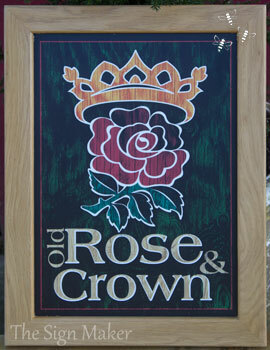 For painted framed signs we use Accoya. Oak is a beautiful timber, Iroko is also a lovely timber, full of natural oil so needing less care and Sapele is a darker red timber - very similar to mahogany. All of the timber frames are treated with Osmo Oil for a beautiful finish. An alternative is to have the frame made in a white or a black painted timber. Other paint colours are alsoavailable too. 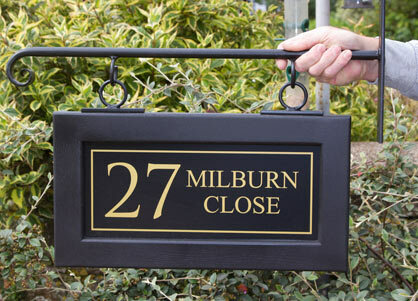 There is a range of brackets, to attach your framed hanging sign to a post or building. We can also supply oak posts or stained softwood posts, along with fittings. The sizes below are our standard sizes but if you require other sizes - no problem - ask for a quote. Aluminium Composite - Background Colours - For single colour designs. 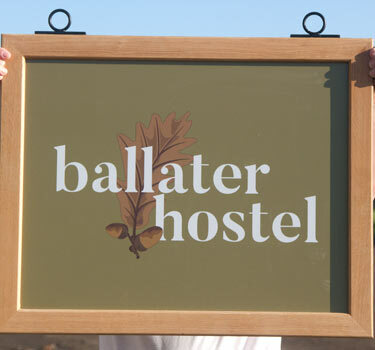 These are longer lasting than the printed vinyl hanging signs as the solid vinyl lettering is less suseptable to fading. NB one side of the board is matt and one is gloss. It is possible to have both sides gloss or matt by using two boards back to back. We have many different hanging brackets available to suit all situations. - Click Here If you do not need the hanging bracket we also have a selection of stainless steel fitting. 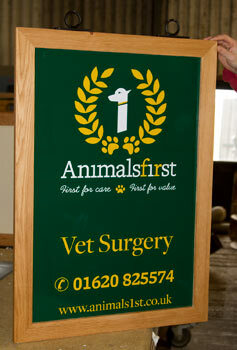 Single Colour Cut Vinyl lettering includes 50 characters - Extra letters £1.65 per 25. Minimum letter size 20mm. 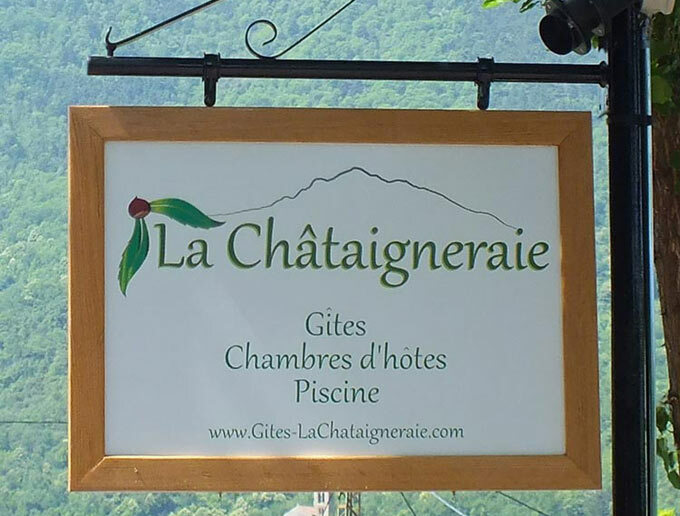 We can include images on the signs. We have a large selection Click here Any of the single colour images can be used with this type of sign - or you can send in you own artwork. 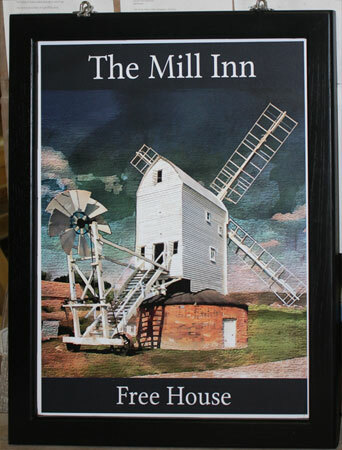 We also have a selection of full colour backgrounds which can dramatically change the look of your sign - Click here to see standard colour backgrounds and images - or you can send in your own artwork. £29.50 per image for artwork sent as bitmap image eg. jpg, tiff, gif- which needs to be vectorised. £29.50 for photographs which need to be adjusted - eg backgrounds removed. Made in the UK. 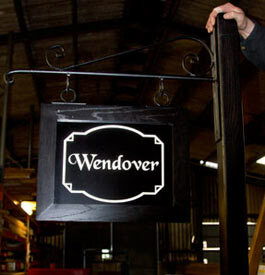 Our team at The Sign Maker looks forward to helping you with your hanging sign.